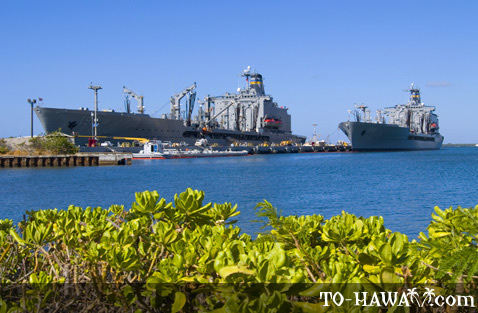 Pearl Harbor (see more photos) on Oahu, Hawaii, is a significant historical location. It was here where the Japanese attacked the U.S. Pacific fleet on December 7, 1941, which led the United States to enter World War II. 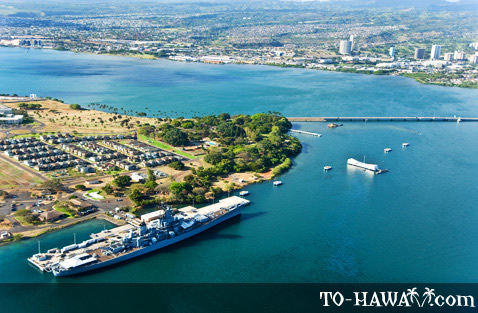 Today, Pearl Harbor (including the Arizona Memorial) is the most-visited destination on Oahu, with more than 1.5 million visitors per year. 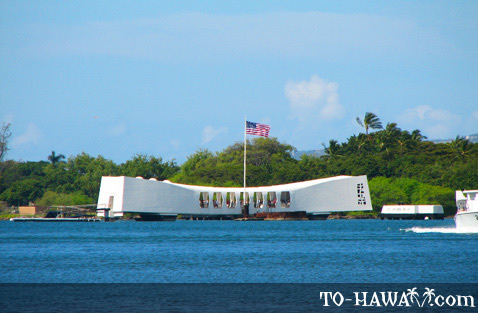 A visit of Pearl Harbor and the Arizona Memorial is a solemn and a learning experience in the same time. 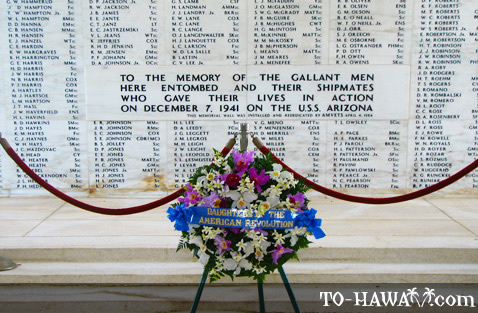 At the Arizona Memorial, (a platform that was built atop the sunken battleship USS Arizona), you will be literally on top of the grave of 1,177 soldiers who perished aboard. From the platform you can see the battleship, which lies six feet below the water's surface. After more than 67 years after the attack, oil is still leaking out of the battleship, also called the “Black Tears of the Arizona.” You’ll have to board a small Navy shuttle boat to reach the Memorial. 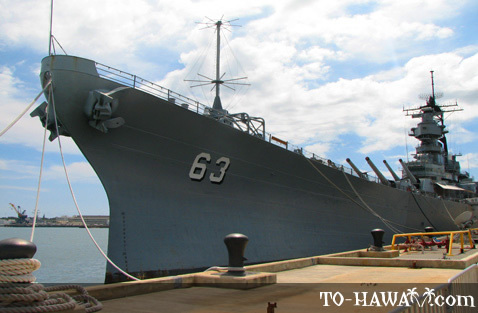 The best time to visit Pearl Harbor is early in the morning, when it’s not too crowded yet. You can either drive yourself, take a city bus or do the tour with one of the local tour companies (which also includes a guide). 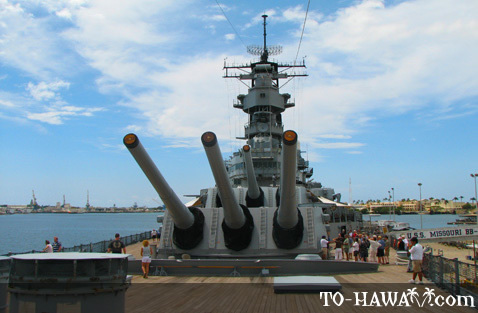 Once you arrive, you can stroll through the Pearl Harbor museum, featuring World War II memorabilia and photos of the attack. After that, watch a 23-minute documentary film featuring actual footage of the attack. 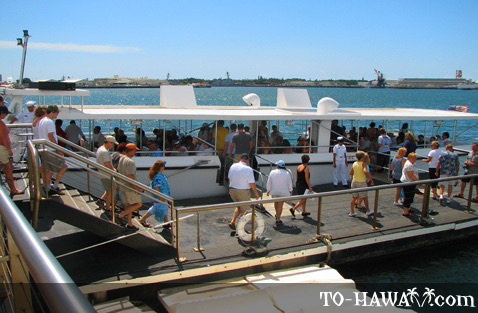 After the video you’ll board the Navy shuttle boat that will take you to the Arizona Memorial. 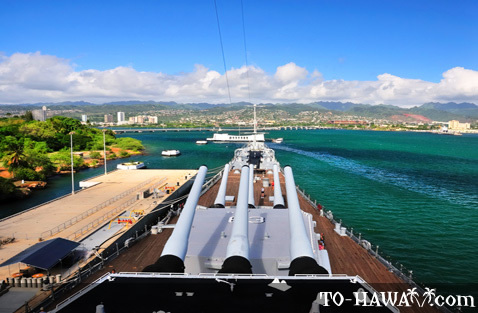 Back on land, you can visit the battleship USS Missouri, also known as the “Mighty Mo.” This battleship, which is still intact, is the site of Japan’s formal surrender, ending World War II for the United States. 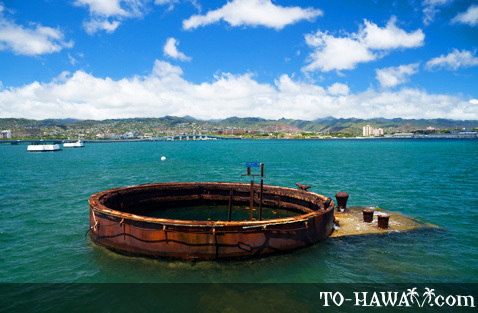 There are a few other things to do at Pearl Harbor if you still have time. 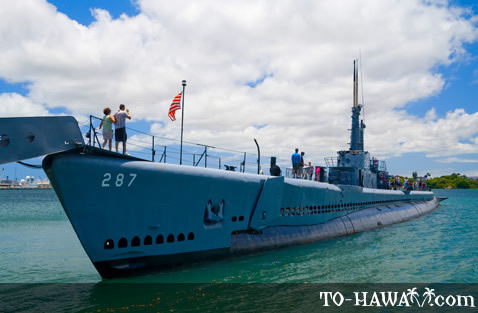 A complete tour would also include a visit to the Pacific Aviation Museum and the Bowfin submarine. 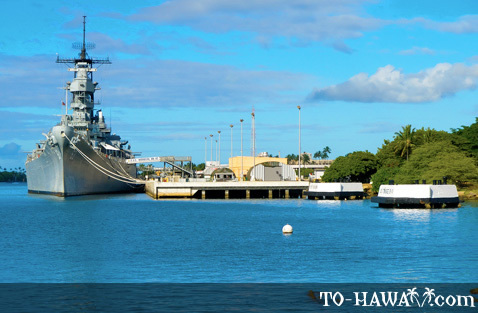 So you can definitely make an entire day out of your visit to Pearl Harbor. There’s a strict no-bags policy at Pearl Harbor. No bags of any kind (including hand bags, backpacks, camera bags, purses, diaper bags, etc.) or luggage and/or other items that offer concealment are allowed. A storage container is available for items that are carry-on size or smaller (30”H x 30”W x 18”D). The fee is $2.00 per item. You can purchase water and other snacks at a snack bar there. You may bring your camera only. All other bags must be left in the car/tour bus. This is a new regulation that was put into action following the September 11, 2001, attacks on the World Trade Center. General admission to Pearl Harbor is free. 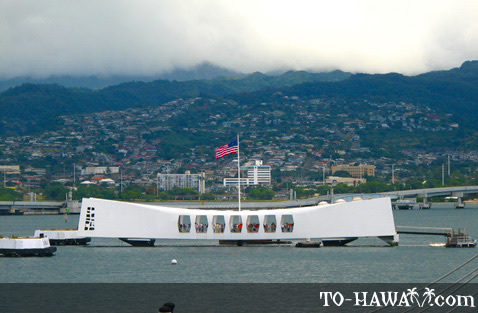 This includes the USS Arizona Memorial. Parking is free as well. 7 am - 5 pm daily , except Thanksgiving, Christmas and New Years Day. 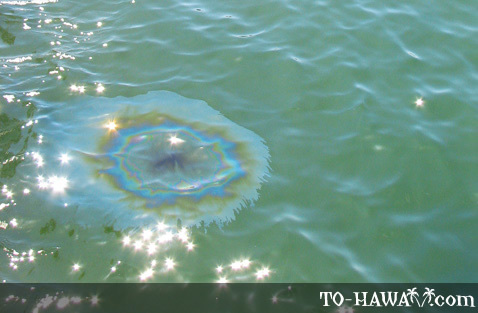 Tours to the USS Arizona Memorial begin every 15 minutes, with the last program starting at 3 pm. Visitors should plan to arrive by 1 pm. to ensure space availability. The entire program takes about one hour and 15 minutes. 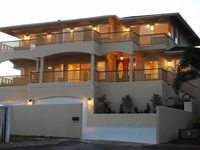 Tours are given on a first-come, first-serve basis. No reservations are accepted. 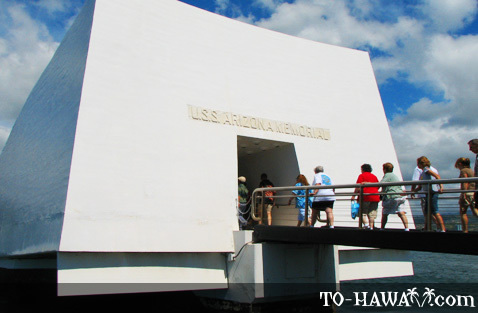 All visitors must view a short film before taking the shuttle to the Arizona Memorial. Tours leave every 20 minutes. Tour of the museum, the documentary film and the boat trip to the Memorial takes approximately 2-3 hours. 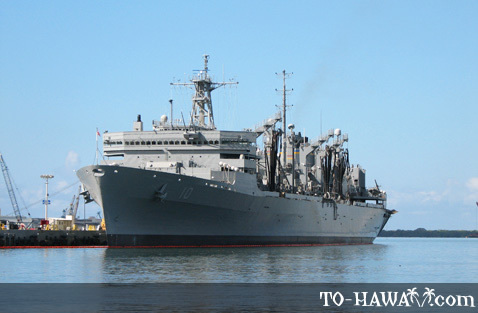 Directions: Pearl Harbor is located to the west of Honolulu, about a 30-minute drive. This is one attraction NOBODY should miss...an incredible experience. 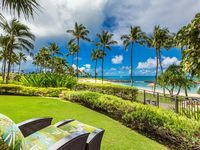 However, before you pay for an expensive tour package, note that you can get there from the Honolulu and Waikiki area on The Bus, good old public transit. Back to the Arizona Memorial: The only way to get ONTO the memorial is through the National Park Service entrance on Arizona Memorial Drive. (And "The Bus" stops right at the corner.) You will get a numbered ticket when you enter the park service building and then have time to wander around the grounds and a great museum while you wait for your number to be called over the public address system. When called, you will join others with the same entry ticket number and enter a theater near the museum and snack bar for one of the most emotionally charged short documentaries you are ever likely to see and hear. The narrator's voice should make your hair stand on end and your skin tingle if you are alive. The theater holds the same number of people as the US Navy launch that takes visitors out to the actual white memorial sitting astride the sunken USS Arizona. When a launch returns from the memorial and discharges its tourist passengers, another group is ready to emerge from the documentary film in the theater and board the launch for its return trip to the memorial. Take your camera and some tissues...it's a gut-wrenching, haunting experience out there. When the boarding call comes, you'll re-board the US Navy launch and return to the dock outside the theater. Another group will take your place. Be sure to stay long enough to visit the museum and see the big bronze map of Oahu on the grounds out by the water. And remember, tour operators may claim to take you to see the Arizona Memorial, but you'll only see it from a distance if they don't take you to the US National Parks entrance where you receive that numbered token to view the documentary and then go on the motor launch out to the memorial. That is the ONLY way onto the Arizona Memorial. In the same vicinity, if you're a fan of submarines and not claustrophobic, you may want to go on board the one that's nearby. Another not-to-be-missed treat for history buffs is the USS Missouri, the ship on which Japan's surrender was signed in Tokyo Bay, ending World War II in the Pacific. 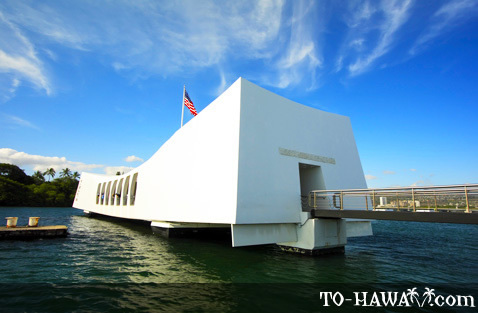 It requires a short bus ride from the Arizona Memorial property. Once on board the USS Missouri, you will get a full tour of the ship and see exactly where the paper was signed. 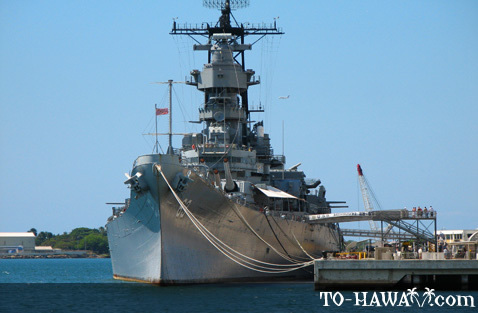 I haven't been to Hawaii for a few years so I'm not sure if there's a charge to go to the Arizona Memorial now, like there is at several of our other national parks here in the "48 states" part of the U.S. However, if there's a charge, it's well worth the price--whatever it is.